Search Engine Optimization | SEO | New Media New marketing | NMX2 | New Media, New Marketing, Inc.
Search Engine Optimization, often referred to as SEO, is a strategic process used to improve a web site or web page’s visibility in search engines organic placement, especially on Google.com. NMx2 search engine optimization services are unique to the industry with verifiable results. Our SEO team procedures have been proven to increase domain authority with on and off site optimization techniques, which work in unison with content marketing and social media strategies to increase your visibility on search engine result pages. 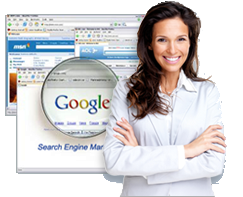 NMx2 has positioned itself as the platinum standard in the search engine optimization industry. Our company was founded on a Customer First approach toward preparing custom digital strategies that provide real results. Improving natural results on search engines is done through a process that encompasses both on site and off site strategies as well as social engagement. While SEO is an ever evolving professional practice, there are many foundational or traditional elements at its core. Below is a list of many of the best practices for SEO as well as more evolved and advanced techniques to guide webmasters and business owners toward better results online. There is an ethical approach to engaging in an SEO campaign and the way an Internet marketing agency manages that is weighed within a Code of Ethics. “Black Hat” SEO techniques such as hidden text, cloaking, paid links, content scraping and doorway pages are no longer tolerated and are strictly enforced as they are against Googles Webmaster Guidelines. These tactics will often lead a site to be penalized by search engines and can even be removed from the index for extended periods of time. At NMx2, we have made it one of our organizational goals, in addition to our commitment to our customers, to bring a positive name to our industry by promoting “white-hat”, ethical optimization methods. Without resorting to questionable and unethical practices, our ethical approach to SEO enables us to offer our clients peace of mind, something that is not listed on a contract but engrained in our methods. Our comprehensive SEO campaigns involve a systematic approach to creating a significant online presence. Our typical “best practices” campaigns provide a detailed process to achieve high natural search rankings. Each website is different and no one SEO strategy can achieve success for every unique situation. WebiMax tailors each SEO campaign to meet the needs of your website and your goals. Sure, it sounds easy, but it has taken us years of trial and error to reach this plateau and feel confident we can provide our clients with real results. If you are interested in working with an SEO company that has a proven track record of success and can deliver your business a substantial return on investment, then WebiMax is the right choice for a no non-sense approach to search engine optimization. These core principles are what we have found to be highly effective in gaining high natural search results and made us the affordable SEO services company of choice. Some people have told us “this seems easy enough, why do I need to work with you?” Our thought process is that if you have the determination and the time to make mistakes along the way while perfecting your craft, then frankly, it is probably best if you do the SEO based work yourself. However, if you are like most companies and want to utilize the expertise of a reputable partner to handle your online marketing initiatives, then the choice to work with NMx2 becomes quite obvious.